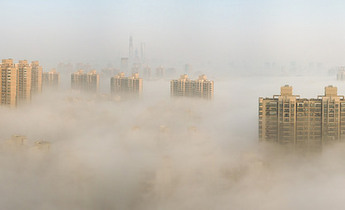 For many of China’s urban residents the bicycle has become little more than a memory. In first tier cities, with populations of 10 million or more, very few people are fortunate to live within cycling distance of work, and congested and polluted roads make cycling hard to enjoy. As soon as owners obtain a driving licence many bicycles are neglected and left to rust. Nowadays, a bike ride is an occasional fun impulse; a nostalgia trip. But how many of us remember the first time we first rode a bike and mastered that subtle balancing act? I remember mine clearly – it is unforgettable; a small miracle of physics, a leap of faith, something that once achieved can never be unlearned. If modernisation is a process by which we use machines to expand the possibilities of our physical and mental selves, then a child learning to ride a bike is a ritual in which the modernity is first experienced – a rite of passage in which we put on our bikes and become cyborgs. I’ve always thought that the bicycle, an efficient vehicle made of little more than rods and a chain, is one of the most revolutionary inventions in the history of transportation. The close relationship between man and machine fostered by the bicycle is an essential part of the industrialised era. China’s modernisation is closely intertwined with the bicycle. 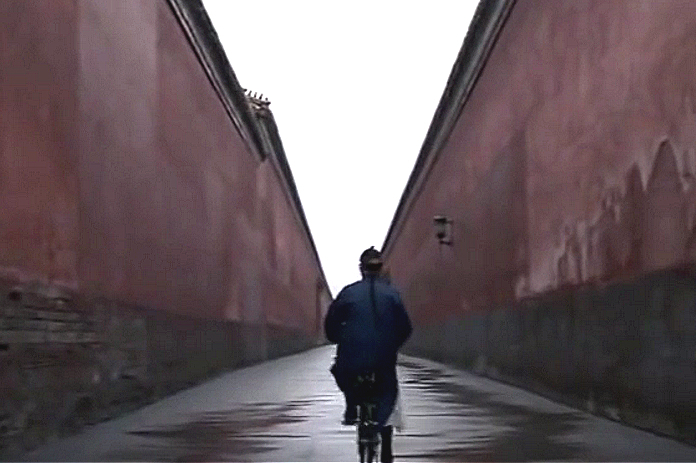 In Bernardo Bertolucci’s film The Last Emperor the last Qing emperor, Pu Yi, rides alone below the high walls of the Forbidden City. He could not have known the European powers that manufactured his bicycle were also drooling over his teetering empire; much less that the republic founded on the corpse of that empire would itself be rocked repeatedly by students distributing pamphlets from their own bicycles. The wheels of history spin as fast as those of a bicycle. 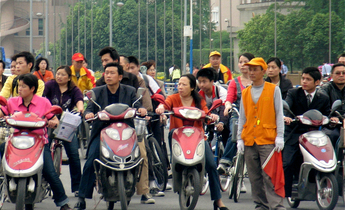 The bicycle is also one of the most important symbols of socialist China. In the 1950s, a bicycle cost the equivalent of several months’ wages for the ordinary worker, and was ranked alongside a radio and a watch as one of the three expensive but prestigious consumer purchases. 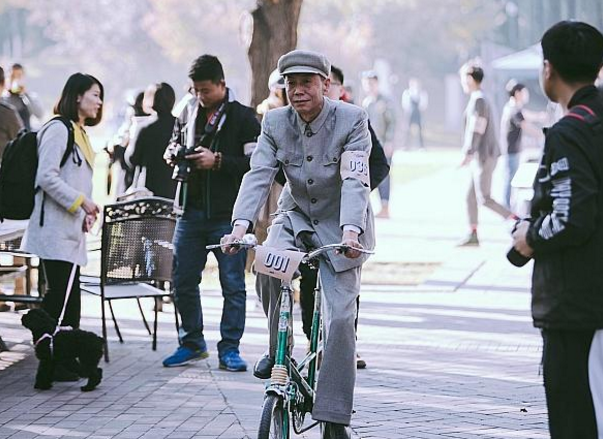 The bicycle was a symbol of industrialisation and modernisation, the mobility it provided helped satisfy the urge of Chinese society to catch up and not be left behind. But with rapid economic growth in the 1980s, the bicycle became ordinary, demoted to standard equipment for households both in cities and villages. Where modernisation and early industrialisation fostered enormous growth in bicycle ownership, in recent decades economic growth has facilitated the expansion of ring roads around our cities. The bicycle, with its 20 km/h speed, has been left behind by the times. 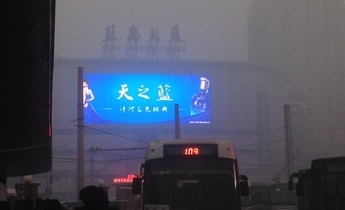 Today there are five million private vehicles in Beijing alone, congesting our roads and forcing us to wear pollution masks. But that doesn’t stop the occasional bout of nostalgia for the bicycle age. 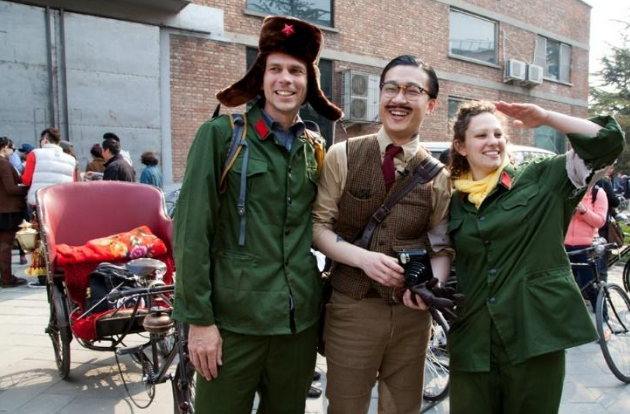 London’s Tweed Run has been replicated in Beijing, Shanghai and Guangzhou, with fashionable youngsters in rough woollen suits appearing out of nowhere, taking selfies beside old-fashioned bikes. Two of those photos stand out: one features two foreigners smiling in the green army uniforms of Mao’s time; another a middle-aged man in a Chinese tunic who could, were it not for an armband identifying him as a participant in the day’s activities, have time-travelled in from three decades past. In fact, he is so realistic he doesn’t even seem to be enjoying himself, suggesting, perhaps that the descendants of the bicycle age aren’t that nostalgic for the socialist era the bicycle symbolises. After all, nobody really wants to go back 30 years. And so I was surprised by the arrival of Mobike, described by founder Hu Weiwei as “a social experience that tests public ethics.” Mobike is an app and online bike sharing service that has been running for about a year. Unlike Beijing’s more established public bike sharing scheme, there is no need to leave bikes at specific locations as each one has a GPS tracker. This means people can leave them in any public place for others to find easily on a map. Mobike users are obliged to leave the bikes somewhere people can get to otherwise the next user is entitled to take a photo of the location in question, and if administrators confirm you have failed to park the bike appropriately you lose in-app reputation. Lose too much and you’re banned from further use. 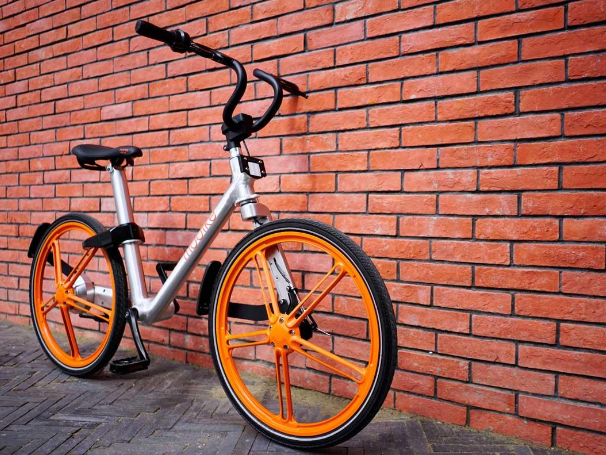 I’ve always assumed that the “Mo” in Mobike had two meanings – mobility and modernity. For me, Mobike highlights one of the social characteristics of China’s experience of modernity that is often overlooked: it isn’t just about replacing physical labour by machinery, it’s also about the reaffirmation of the social contract, of respect for others, of the valuing and protection of public space and public life. Socialism might sound outdated now but we shouldn’t forget the unique Chinese communities that flourished in work-unit housing and public parks. The particularly public aspect of such communities may not have been perfect, but should not be rejected either. Of course, I’m not claiming that the people’s communes of 1957 share an origin with 2017’s Mobike, but Mobike has made me realise that as the medium of political and legal debate shifts from real life to online, technology provides the possibility of creating “publicness” in the real world, and before our increasingly dulled taste buds forget altogether what such a life tastes like. As a resident of Shanghai, I absolutely love the convenience of Mobike. 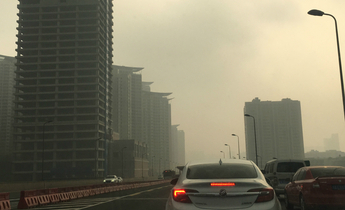 I certainly hope that all of us living in large Chinese cities continue to pass this "test of public ethics" and such a great, eco friendly, affordable service can continue to be available to the public. 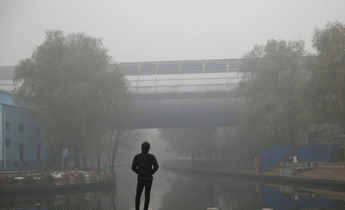 China’s electric bicycle boom: will the fashion last? Can e-bikes draw in commuters who would never have considered a trip on a standard bike, or who can’t afford to purchase an electric car?